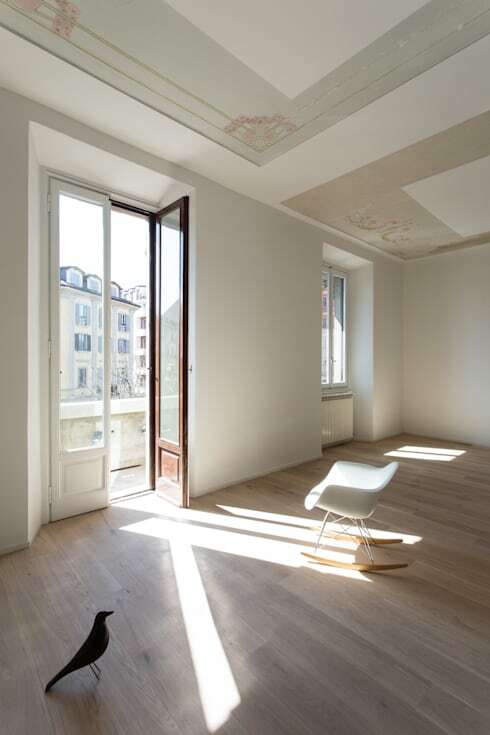 False ceilings: 10 amazing designs! Ceilings have always presented a lot of opportunities from a design perspective, from beautiful murals, to hanging chandeliers, but in modern homes it is rarely exploited for its decorative possibilities. One exception to this however is the advent of the false ceiling, panels usually made from plaster that open up a myriad of practical solutions and design features. 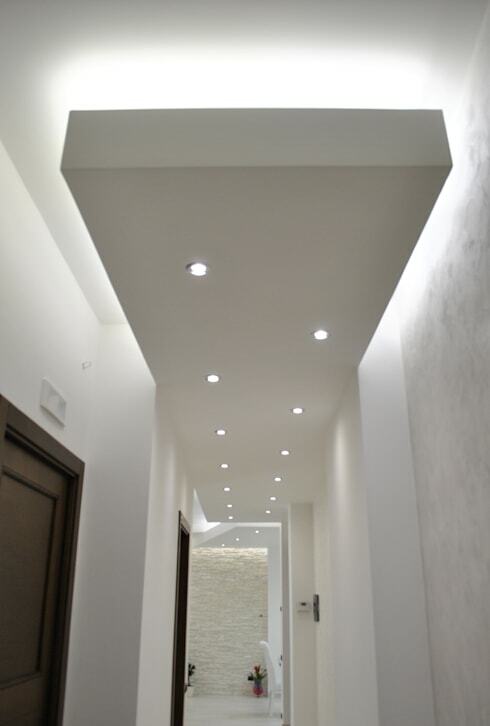 False ceilings can be used for recessed lighting, to hide heaters, or to introduce new design elements into the home. Using unique shapes, colours, and patterns you can functionally separate rooms of the house or give your home dynamism and energy. 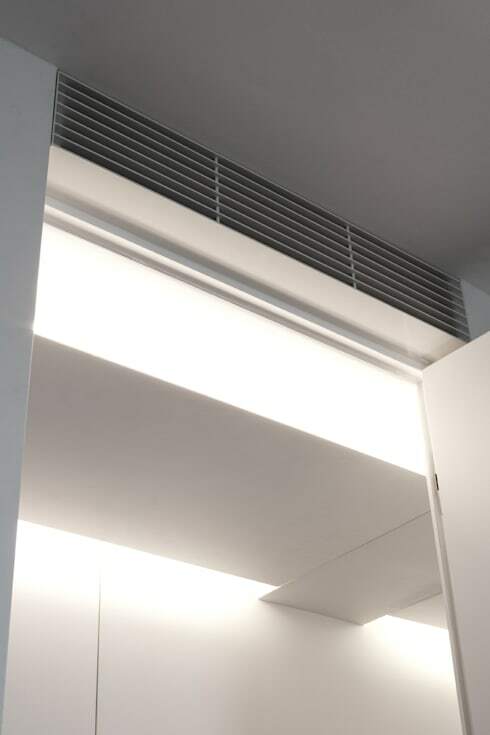 They can be used to lower the height of the ceiling to create intimacy on one area, while allowing better air flow and light penetration in others, giving you more flexibility within the structure of your house. So join us as we take a look at ten fantastic uses of false ceilings, and then talk to a contractor about building one in your own home! This home was recently renovated, and while most of the original design was unusable, it did feature some gorgeous ceiling decorations. The decorators have therefore chosen to retain these patterns by framing them with plaster, so we can still enjoy the vintage designs, while protecting and upgrading the ceiling. In order to maintain the privacy of the upper floor, they have constructed ascending levels of plaster ceiling with lights that maintain a somewhat uniform height as you climb the stairs. 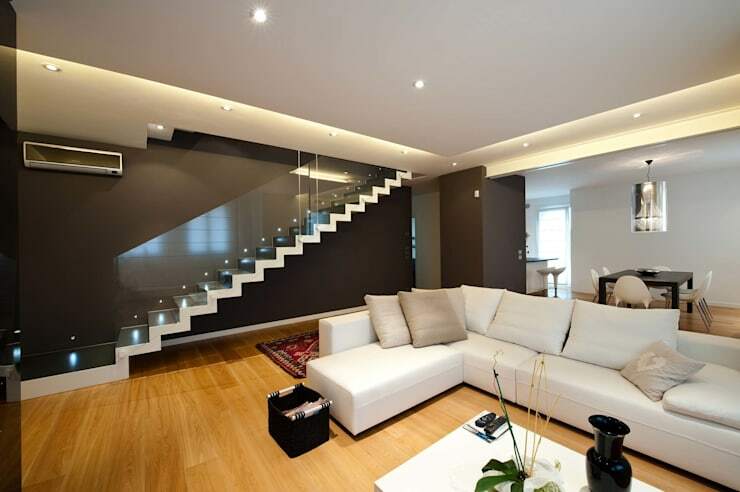 This not only keeps the stairs well illuminated, crucial against the black feature wall, but also discreet. This corner of the home has been entirely constructed of plaster, from the bookcase to the false ceiling above. 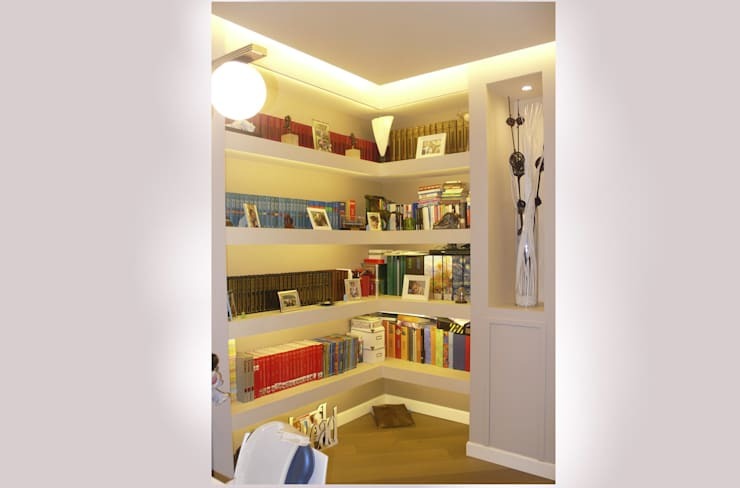 This allows for recessed lighting to be placed both on the ceiling and within the shelves, making this a really bright and modern looking space with a unified aesthetic. Most homes feature hollow walls or ceilings in order to hide electrical wiring, but we love the idea of using a false ceiling to hide ventilation for central heating or air conditioning. This keeps the system out of sight, but allows access throughout the entire home, with the architects of this particular project employing vents at the entrance of every room. This is a really unique idea, a large panel runs the length of the hallway lowering the height, but extending our perception of the length. With spotlights in the middle, and recessed lighting above the panel, the design bounces light off the white walls, illuminating the subtle differences in texture and pattern, and making this large corridor feel a little more personal. If you're not a fan of dividing walls, preferring to keep your home open and airy, then another good way to functionally separate rooms is with false ceilings. 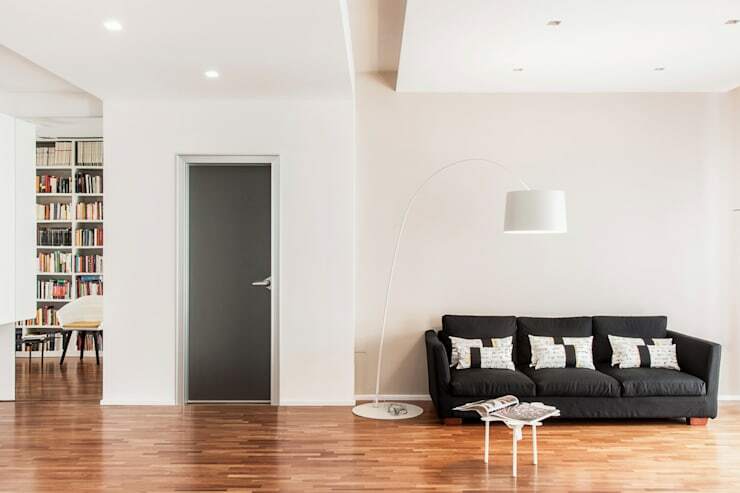 This home uses a fake wall that curves around into the ceiling in a full arc over the room to mark the entrance of the home, and out of picture the dining room. This delineates the rooms without cutting off visual continuity, so that you can enjoy the full expanse of your home. One of the best uses of false ceilings is their ability to create more intimacy by lowering the height of the room, which is especially desirable in the dining room. 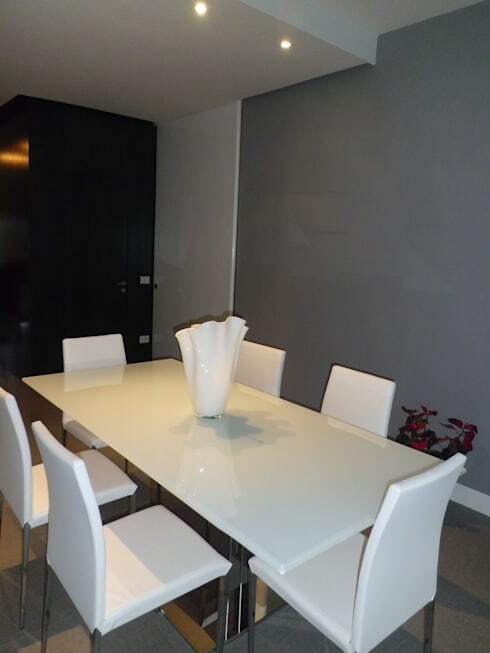 The false ceiling is marked by its contrast to the grey and black of the decor, and with a couple of spotlights it casts a gentle glow over the reflective table. 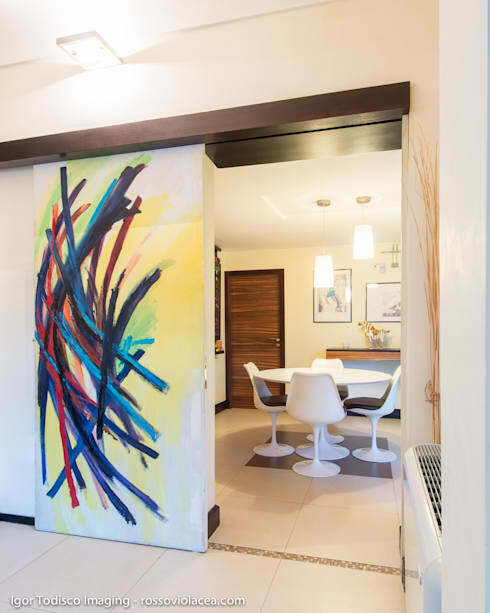 Behind a sliding door featuring the vibrant and dynamic artwork of Viviana Faiola you'll find a dining room table with two hanging lamps suspended from—you guessed it—a false ceiling. Here they have used it to make a recessed frame for the lights, a subtle, but really effective design feature. False ceilings offer a lot of creative possibilities, and this home appears to include all of them! The recessed lighting should be familiar to us by now, but those long slit lights above the dining table are unlike anything we've ever seen, acting both as a decorative pattern and gentle mood lighting. The original ceiling is used as a line to delineate the two rooms, while above the living room we find a really artistic use of timber to give the room some character, as well as another unorthodox lighting solution. While the false ceiling certainly looks fantastic, it's the practical application of it that make this one so impressive. 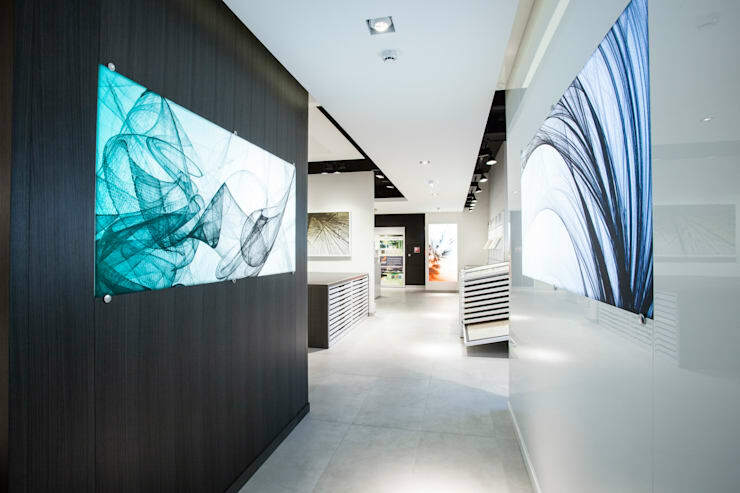 In order to hide the large unsightly lights required to properly illuminate a gallery space they've used a long low panel that follows the path of the corridor. The material also serves to soften sound and absorb echoes, crucial when you're expecting large amounts of visitors. With so many uses for false ceilings we're sure there's an application that's perfect for your home! For more great ideas, check out these tips on making your house feel like a home. 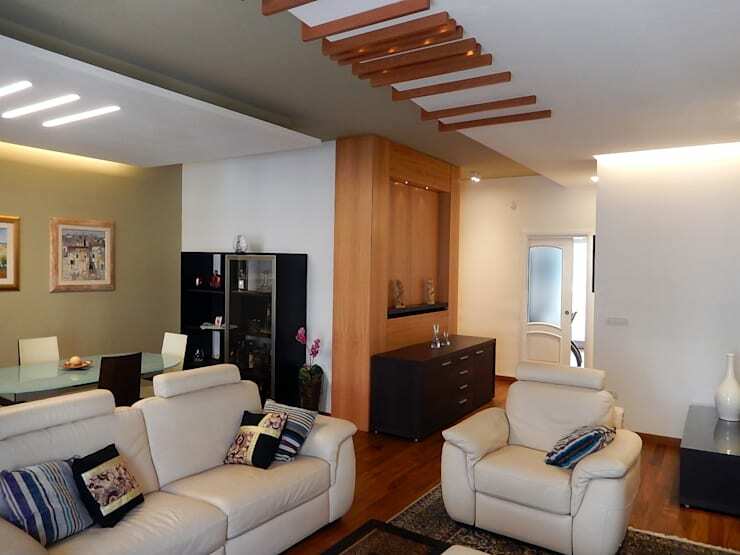 How would you use a false ceiling in your home? Tell us in the comments!